In 21-minute recording Osama Bin Laden's son calls for revenge against the US for assasinating his father. A 21 minute audio file has surfaced online, in which the Hamza Bin Laden, the son of Al Qaeda founder Osama Bin Laden, threatened the U.S. for assassinating his father. 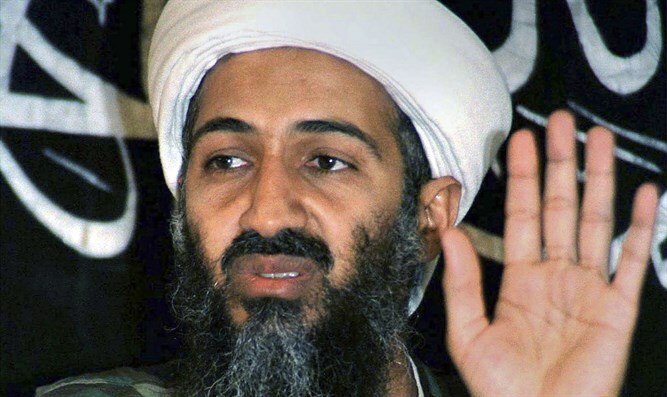 According to Reuters, the file, entitled "We are All Osama," features Hamza Bin Laden in a 21-minute speech threatening attacks on the U.S. and its allies, according to SITE Intelligence Group. "We will continue striking you and targeting you in your country and abroad in response to your oppression of the people of Palestine, Afghanistan, Syria, Iraq, Yemen, Somalia and the rest of the Muslim lands that did not survive your oppression," Hamza said in the recording. Hamza Bin Laden could provide a dangerous new face to the Al-Qaeda, which lately has seen competition for young terrorist recruits from the brutal Islamic State. Bruce Riedel of Brookings noted that "Hamza provides a new face for Al-Qaeda, one that directly connects to the group's founder. He is an articulate and dangerous enemy," Reuters reported.